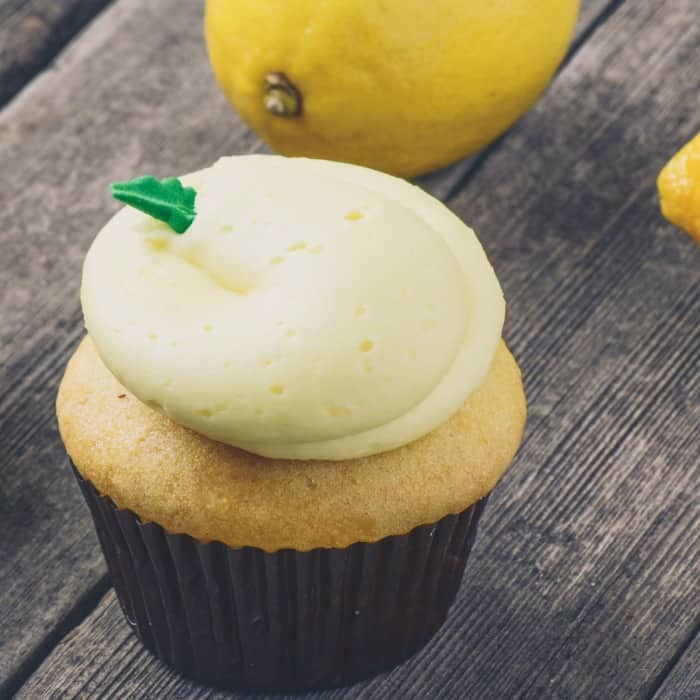 Summertime, summertime, sum-sum-summertime…Lemon-Lemon Cupcakes, Lemon-Lemon Cupcakes! Sorry–I just couldn’t help myself. LOL! Something about the hot summer and cool lemon just go together. 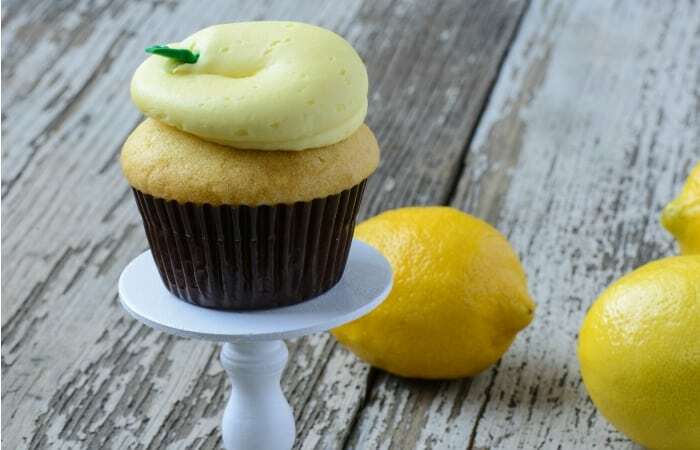 So, I made this recipe for Lemon-Lemon Cupcakes with Lemon Frosting on the first day of summer (earlier this week) because it was about 900 degrees here in Texas and I just couldn’t help myself. Lemon cools me off, for some reason. Maybe it’s just in my mind. Or maybe it’s the cool lemonade I made to go along with it. I don’t know. So fun, though. Are you ready to get some relief from this intolerable heat? 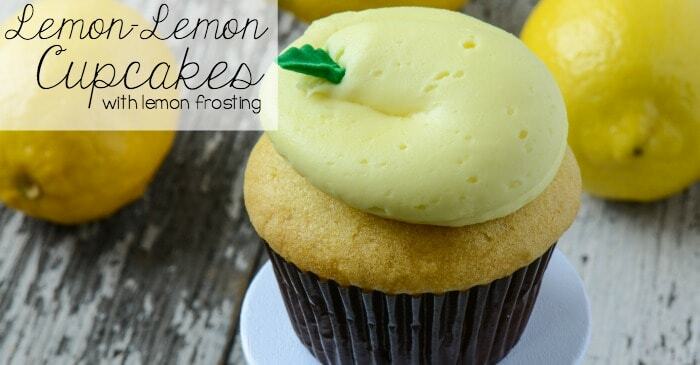 Give these DELICIOUS Lemon-Lemon Cupcakes a try–I promise you won’t be disappointed. They are sooooooo light and fluffy that you’ll be amazed and addicted. But not like addicted, addicted. Just addicted like “I want another one”. Don’t worry–you won’t have to go into rehab over these. Heh. And don’t forget to share on Pinterest, if you love, love, love this recipe. Because, you know, sharing means maybe your friends will see the recipe and make some the next time you’re over there. LOL! 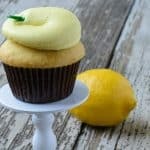 Summertime, summertime, sum-sum-summertime...Lemon-Lemon Cupcakes, Lemon-Lemon Cupcakes! Sorry--I just couldn't help myself. In a large mixing bowl, cream the Margarine or Butter (using a spoon). Gradually add the Granulated Sugar to the Margarine or Butter, stirring to mix well. In another bowl, combine the Milk and Vanilla. Add 1/3 of the Flour mixture to the Butter/Sugar mixture and mix well. Add 1/3 of the Milk mixture to the Butter/Sugar mixture and mix well. Add another third of the Flour mixture and another third of the Milk mixture, then the last third of the Flour mixture and the last third of the Milk mixture. Mix well as you combine the ingredients. Add the Fresh Lemon Juice and Zest, and mix well. Fill muffin tins to 2/3 full. Bake for approximately 15 minutes, or until a toothpick inserted in the center comes out clean. Allow to cool on a rack until the pan is cool enough to handle. Remove cupcakes from muffin pan and allow to cool completely. Place the defrosted Cool Whip in a medium to large mixing bowl. Gradually sprinkle and gently fold the Jell-o into the Cool Whip. (with emphasis on the gently!). Place a dollop of the Lemon Cool Whip on top of each Lemon Cupcake. Sprinkle with Lemon Zest and garnish with a sprig of Mint, if desired.